Provide comfort for the family of Comekia Flott with a meaningful gesture of sympathy. 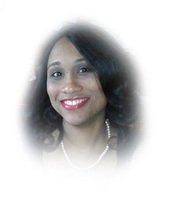 Comekia Dynelle Milligan Flott- departed this life on Monday April 8, 2019 at Spain Rehabilitation Center at University of Alabama at Birmingham. She was a native and lifelong resident of Mobile, AL. She leaves to cherish her memories: a loving and caring husband, Maurice Flott; two beloved children, Camille and Cameron Flott; parents, Abraham and Sheryl King; sister, Shatari (John) Miller; one brother, Alain King;one niece and one nephew, Hannah and Tripp Miller; one mother-in-law, Mae Belle Flott; one sisters-in-law, Mae (Charles) Reed, Corlis (Edward) Mosley, Valena (Bernell) Robinson; three brothers-in-law: Jerome (Lavern) Flott, Julius (Lisa) Flott, James Flott; extended family and friends. To send flowers in memory of Comekia Dynelle Flott, please visit our Heartfelt Sympathies Store. We encourage you to share your most beloved memories of Comekia here, so that the family and other loved ones can always see it. You can upload cherished photographs, or share your favorite stories, and can even comment on those shared by others.